We teach lessons from a home-based studio in Franklin, MI as well as online via Skype, Zoom. Asynchronous learning options are also available. Our approach is student-centered and we begin by evaluating the student's needs and desired goal at the first lesson. From this point we create a plan tailored to each student's needs to help them reach their goals. We provide all the resources needed for each student to succeed such as the plan for home study and practice, book recommendations, articles or websites that may be of value. Students should expect to have goals they work on independently each week. For younger students, parental participation and observation is welcome and expected. Milena Thomas received a Bachelor of Musical Arts in Voice Performance and Comparative Literature from the University of Michigan. Throughout her career she has actively participated in her studies, including independent research, community and professional music and theater engagements, teaching, participated in personal growth and development courses, and has maintained regular work in a variety of fields, all of which have contributed to her diverse abilities. Milena is a recognized soprano soloist, performer of opera and theater, choir section leader, and teacher of music. She has performed leading roles in opera with University of Michigan Gilbert and Sullivan Society, Comic Opera Guild, Arbor Opera Theater, Michigan Opera Works, University of Michigan Productions, and is the soprano section leader of The First Presbyterian Church of Royal Oak Chancel Choir. While in various productions, she has also volunteered as a hair and makeup designer. Milena has also obtained a Master of Science in Finance with specialization equivalent in Economics from Walsh College in Troy, MI. She has worked as an associate professor of corporate finance and research associate. Due to her diverse educational and professional experience, she brings a well rounded and holistic background to her students. 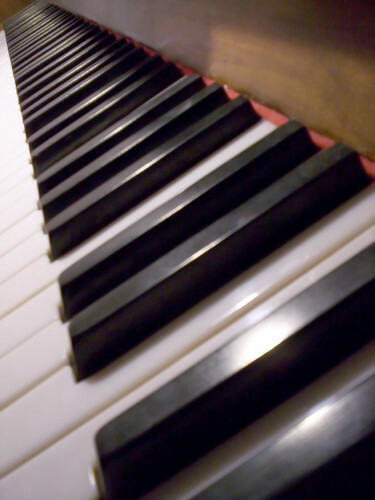 Nada Grubor is a piano teacher who utilizes the Simply Music playing-based methodology in her lessons. She is also retired language arts teacher having worked in the Bloomfield Hills and Detroit Public and Private school systems. She also has ESL certification and has taught ESL and communication skills to students and business professionals.